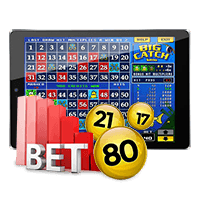 Gambling, which is a multibillion-dollar business worldwide, has a rich and long history. Along the way to developing the games that so many people love to play today and an industry that stretches around the globe, there have been some very innovative individuals, impassioned and unpredictable moments, and creative ideas. Here are ten interesting and fun gambling facts from the past 2,000 years or so. The most expensive casino ever built, the Aria, is part of the most expensive private construction project ever undertaken in the U.S., the MGM Mirage CityCenter in Las Vegas. CityCenter sits on 67 acres, and it includes shopping centers, residential buildings, and hotels. The entire cost of the project was $8.8 billion. The Aria, which includes a 150,000-square-foot casino floor and 4,004 hotel rooms (that's about 3,200 more rooms than Buckingham Palace), had a price tag of $5.4 billion. That's more than half of the project's $8.5 billion total. The British have a long history of gambling with some of that nation's oldest bookmakers having opened their shops close to 140 years ago. It makes sense that someone from a nation that embraced gambling would invent a method of eating that allowed one to stay at the gaming table. It was John Montagu, the Fourth Earl of Sandwich (November, 13, 1718 – April 30, 1792), who loved playing cards so much that he refused to leave the table to eat. Instead, when he was hungry he had a concoction of fried meat placed between two pieces of bread brought to him. With that the sandwich, which was named after him, was born. Blasé Pascal, the renowned French mathematician and philosopher, is believed to have invented roulette. Pascal was interested in the concept of perpetual motion and through his experiments developed the device that would become the roulette wheel. 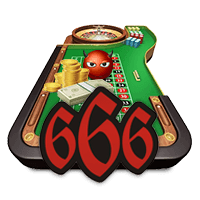 Roulette, which pays 35:1, is said to be the Devil's Game because when add all of the numbers on the wheel are added together the sum is 666. That repetitive, three-digit number is associated with Satan. The Chinese created the basic concepts for the card games that we enjoy today. However, it was the French who added the symbols to those cards, which then related to four segments of their society. Spades represented royalty, hearts clergy, diamonds merchants, and clubs peasants. Interesting to note that this hierarchy is still used today when suits are used to determine strength. As an example, in a poker tournament color-up that involves a race off if there is a tie, let's say each of four players gets an ace, the hierarchy that the French created, starting with the strongest ace and going to the weakest, is spades (royalty), hearts, (clergy), diamonds (merchants), and clubs (peasants). In 1931, when the State of Nevada legalized gambling, the Hoover Dam was being built. The U.S. government did not want its workers distracted by gambling so they built a town near the site for the construction workers. It was named Boulder City and a special statute was passed that made gambling illegal. Boulder City is still the only town in Nevada where gambling is unlawful. Anargyros Karabourniotis, better known as Archie Karas or “The Greek,” started an amazing gambling run in 1992 that stretched into 1995. In that time, he turned $50 into $40 million. During this time, which is known as “The Run, he first turned $50 into $17million. He did it in Las Vegas playing poker and pool over the course of six months. Later during The Run, he switched to craps and often made millions in one night. In 1995, The Run stalled out and Karas lost all $40 million. The Las Vegas Desert Inn was abuzz in 1950 when a sailor playing craps made twenty-seven straight passes. The odds of such a thing happening are 12,467,890 to 1. If he were a high stakes player betting the house limit, he would have made $268 million. However, he was not. Instead, he walked away with $750. Those special dice were given a place of honor in the hotel where they were kept on a velvet pillow surrounded by glass. Blackjack, also known as 21, is the most popular casino game at brick and mortar and online casinos. Played against the dealer, the point is for a player to get as close to 21 as possible without busting, going over 21. If a player's total beats the dealer's they win, getting 1:1. If they hit blackjack, which is an ace and any face card or 10, they automatically win and are often paid 3:2. A tie results in a push with all bets being returned. Why is this game so popular? Many believe it's because the game is relatively easy to learn and fairly fast moving, allowing players to get a lot of hands in quickly. 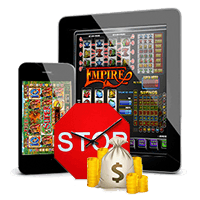 What casino game has the highest house edge? It's keno, making it one of the worst bets anyone can make. The house edge for the game varies, going from 25% to 29%. That means that the house is going to keep 29% of the cash that's bet on the game, eventually returning only 71% to players. What's the house edge on some other games? For European roulette it's 2.70% while American roulette, which has the double zero, is 5.26%. 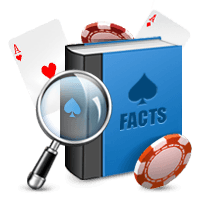 Blackjack offers an edge of just 0.28%, baccarat 1.24%, and in craps the pass/come bet is 1.41%. Hey, Where'd You Get the Money For That Wall? The Great Wall of China, which stretches for over 9,500 kilometers (5,000 miles), was created through the efforts of more than 3.5 million laborers. Over 1 million died in the making of the Great Wall, and not one worker was paid, as it was seen as being part of a person's civic duty to help build the wall. How did the government pay for all of the materials? The Han Dynasty (206-220 BCE), which was one of three dynasties involved in the building of the wonder, helped to finance the enterprise through keno. Obviously, they knew a good house edge when they saw one. When Western legend "Wild Bill" Hickok met his demise he was holding four specific cards and those cards have come to be known as the Dead Man's Hand. A man named Jack McCall murdered Hickok. McCall did not need to be much of a marksman to kill the famous Hickok, as he shot him from pointblank range in the back of the head. Only four of the cards that Hickok was holding are known. They were the ace of spades, ace of clubs, eight of spades and eight of clubs. The shooting happened on August 2, 1876 at Nuttal & Mann's Saloon in Deadwood, Dakota Territory. Hickok, who was also a Wild West star, died instantly.